A little double sided tape and the wireless charger is now attached to the bedhead. 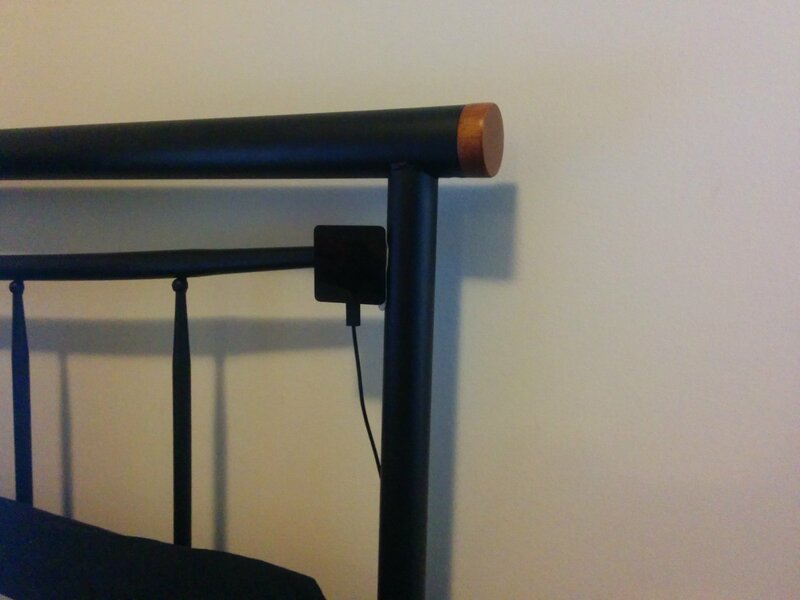 The magnets are strong enough to hold the phone on there through the most vigorous of nightmares, rompy pompy, or just WWE reenactment because I’m 31 years old and I can damn well jump on the bed if I want. Previous post But I NEEDED it! Next post This Trolley is in Danger!